With RateWatch®, you can always be the expert. 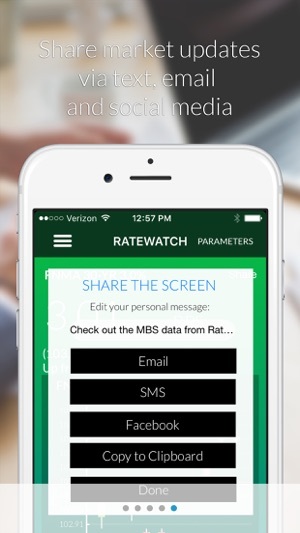 Designed by professionals for professionals, RateWatch® by Mortgage Coach is the ultimate MBS monitoring strategy. RateWatch deploys the latest interactive charting technology to ensure clear delivery of up-to-the-minute market movements. Professionals with RateWatch are always up to date on what matters most. 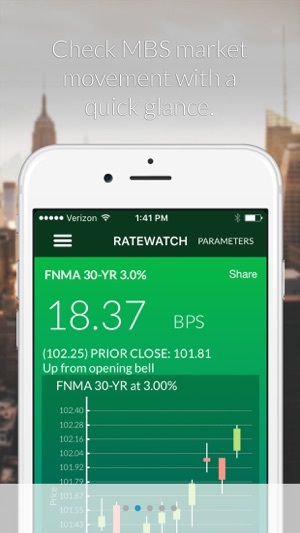 RateWatch takes the guesswork out of key decisions. 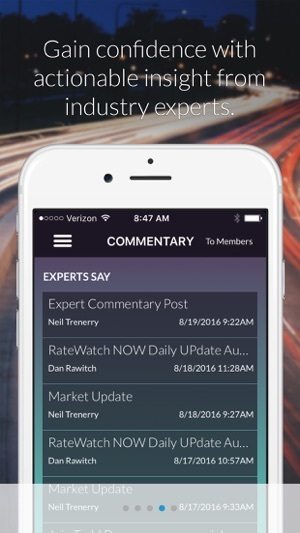 Designed to help make understanding market changes simple, RateWatch is the first app to deliver the vast array of market insight professionals need on smartphones and tablets. - DayWatch plots the progress of the highlighted coupon in 5-minute intervals. 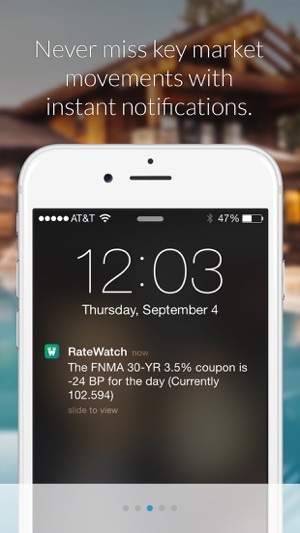 - Significant market movements trigger an instant app notification. - Easily switch between various bonds and coupon rates with a touch. - Add multiple moving averages and different time frames to uncover trends and patterns. - Wide varieties of shared industry commentary provide opinions, statistics and market insight. 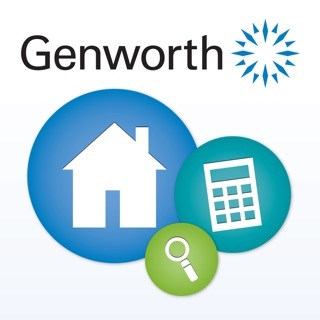 RateWatch® by Mortgage Coach provides the insight you need on the devices you love. * RateWatch is provided to licensed Mortgage Professionals enrolled in Mortgage Coach. * Mortgage Coach, which includes RateWatch is offered to qualified licensed mortgage professionals, lenders, and banks for an annual or monthly subscription. * Mortgage Coach provides a suite of mobile apps in addition to our award winning desktop software and education solutions as part of enrollment in Mortgage Coach. Use your Mortgage Coach credentials to login to RateWatch today. * Mobile app capabilities are part of our enterprise services package which includes coaching, integration, and desktop software services and there is not a paid upgrade for RateWatch mobile access currently outside the app. An individual licensed lender is only able to purchase access to an individual version of our complete education services - on a monthly or annual basis . - Improves commentary video to jump to video for that day directly. Looks like a free app and I was hoping to get daily rate quotes to help me decide when to lock in my new mortgage but the only screens i can get to are a login screen and a terms screen 3 times longer than my mortgage papers! So I went to the website to see how to get a login id and it says that signing up is $90 a month! So much for a free app! The app description says nothing about a subscription fee so even though I never actually got in to see it’s features I had to rate it one star for being deceptive and expensive. I've been in the mortgage industry 14 years and I've never seen a tool like this. At every social event you get asked "what do you do"? Whenever I say "I run a branch of a mortgage company" people ALWAYS ask "so what are rates doing"? Now with Ratewatch Mobile I have so much fun with this. I pull up the market and talk to them about it. They're blown away and it makes a very natural segue into an exciting and relevant conversation about their situation that sets me up as the trusted advisor and generates business and brand awareness at social events that was not possible before. I have created at least 5 meetings from this app already and I've only had it a couple of weeks. It's a must have for me and my branch. There are a lot of ways to be at the top of your game in the Mortgage business but this tool sure makes it easier. This comes from a firm that cares first about the Loan Officer and the experience the client has with that L/O. 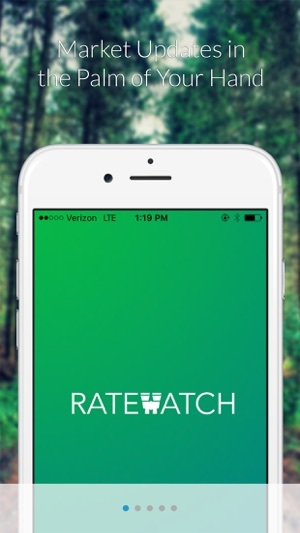 RateWatch is easy to use and can easily be screen shot and shared with your clients and referral partners that may need to see it to believe it.